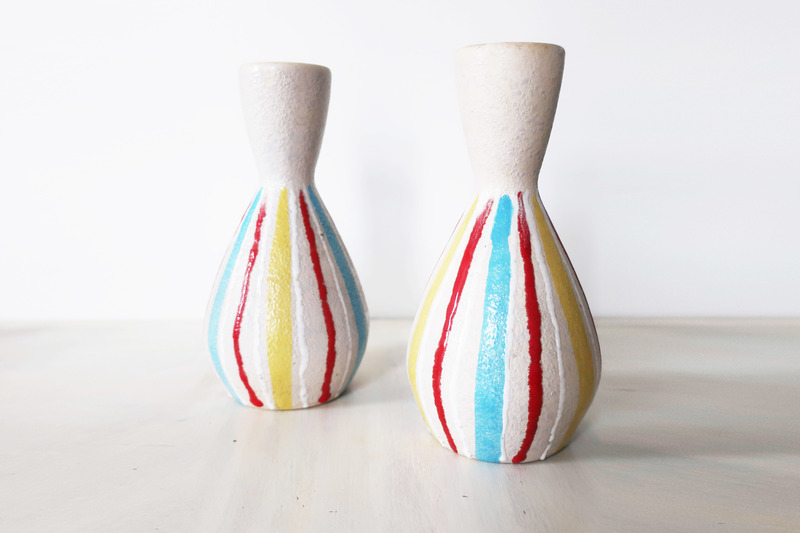 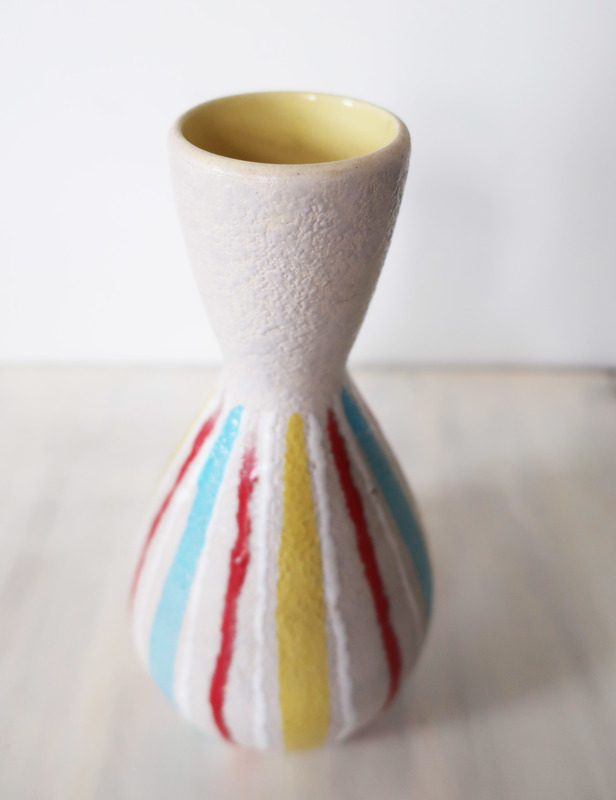 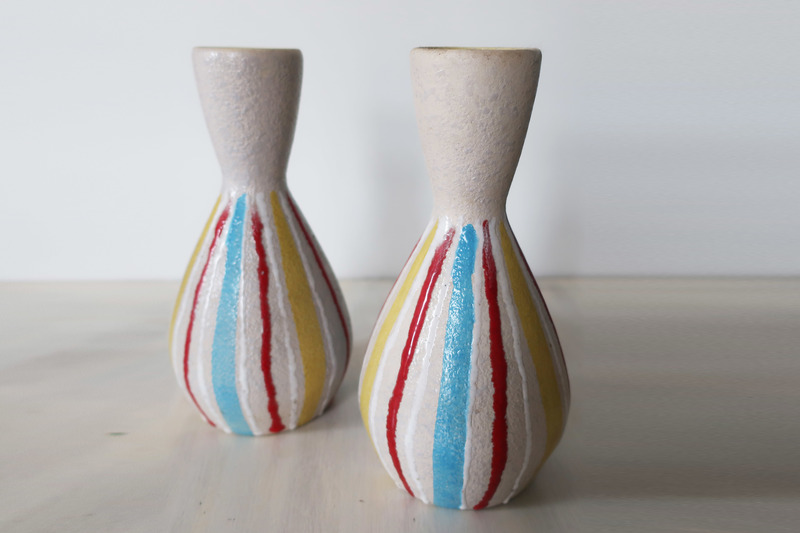 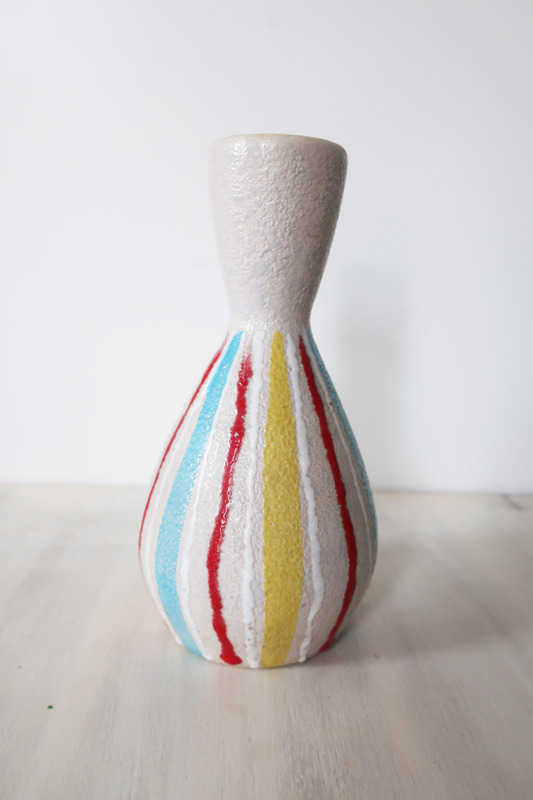 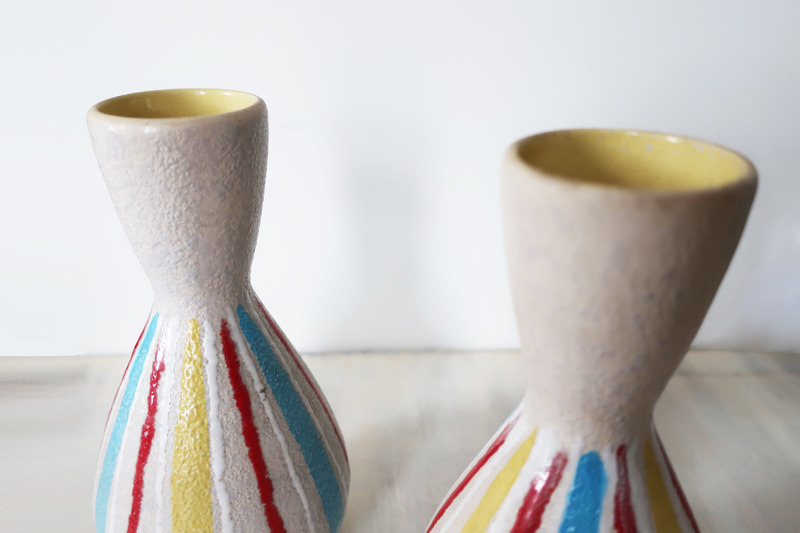 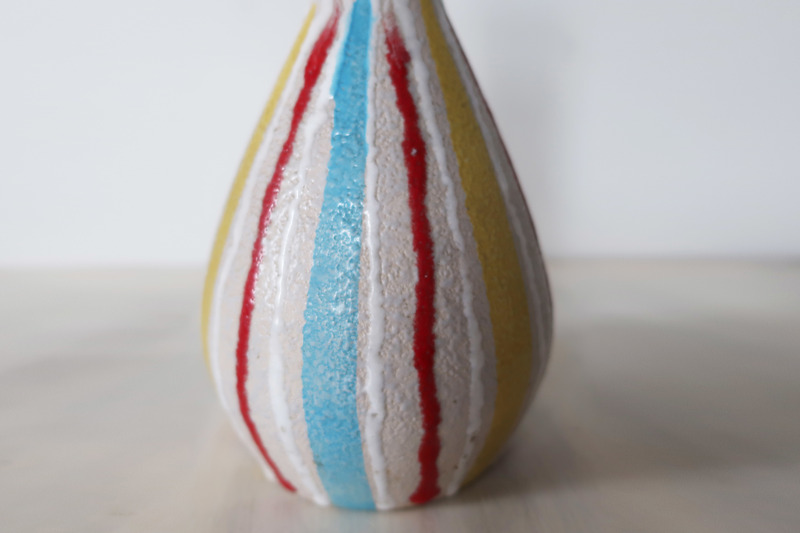 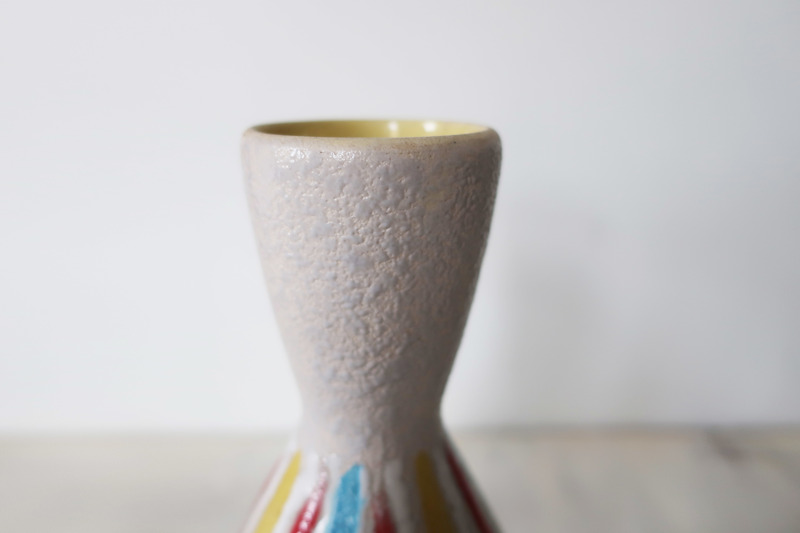 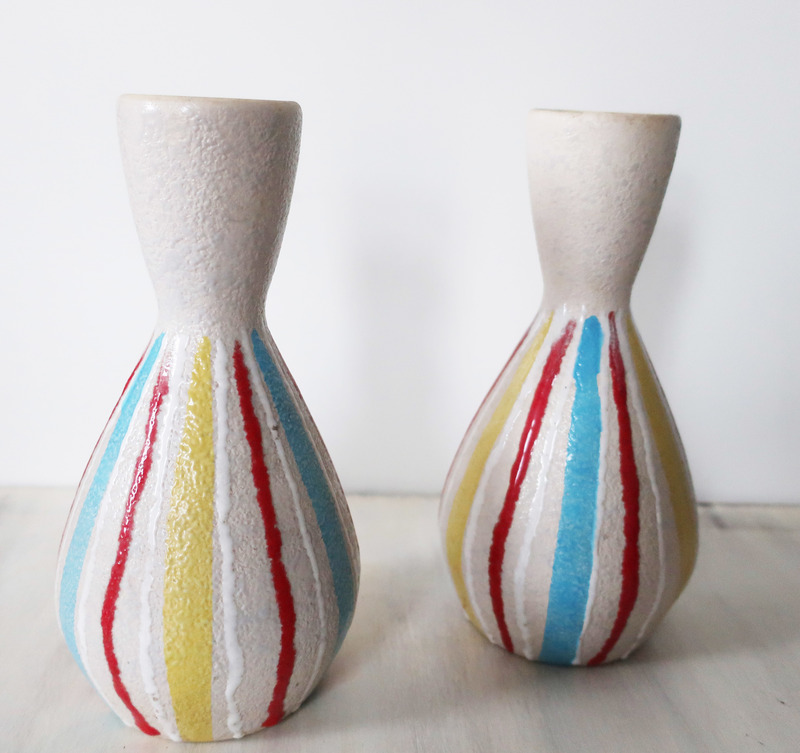 A beautiful pair of midcentury Italian style pottery vases. 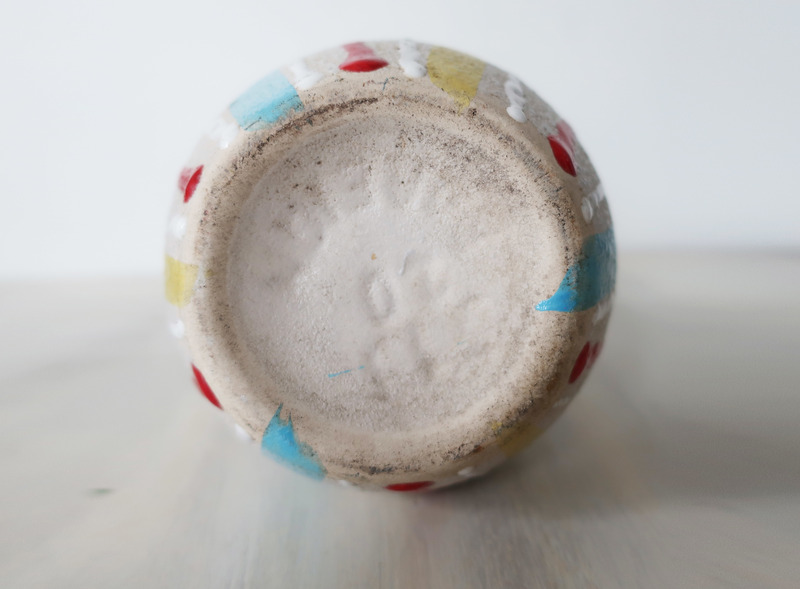 The vases are in great condition and are marked "Foreign" on the bottom. 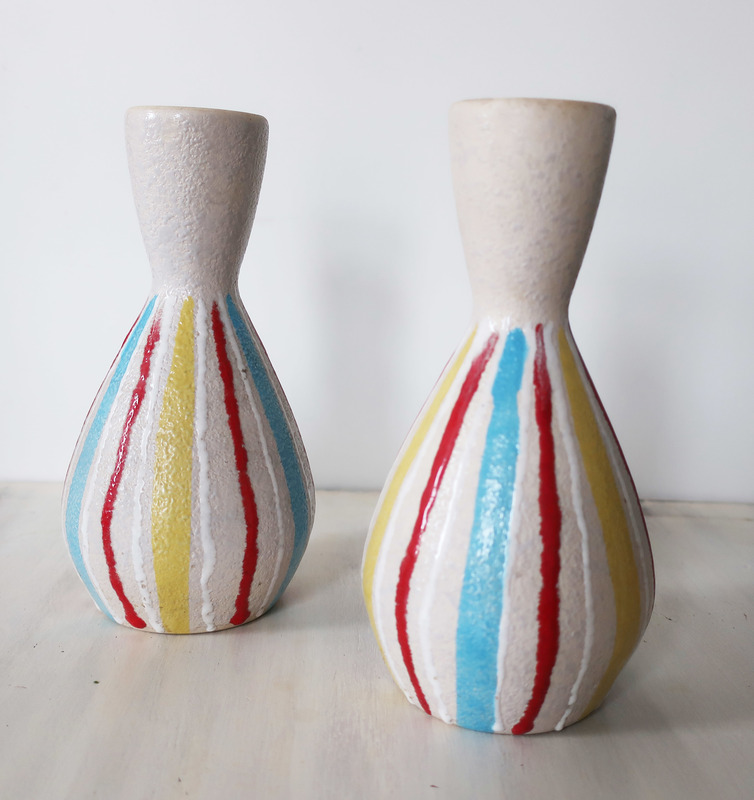 They measure approximately 8" high and 2" across the top, 3" across the bottom.